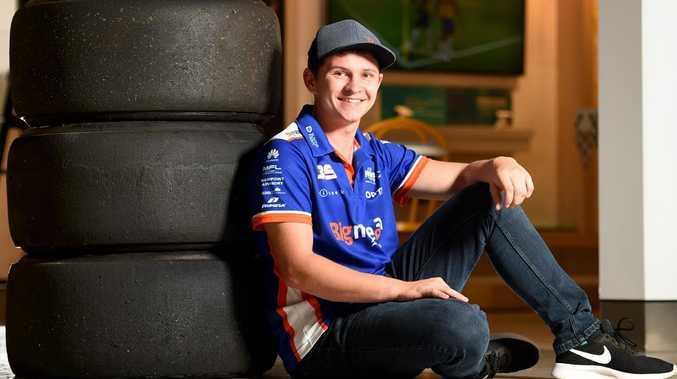 SUPERCARS driver Todd Hazelwood is set to be the big winner following Matt Stone Racing's dramatic switch from Ford to Holden . For the remainder of this season, Stone racing will field the Triple Eight-built VF Commodore in which Hazelwood won the 2017 Dunlop Super2 title. The Queensland squad will also ditch its current DJR Team Penske Ford Falcon in favour of a Triple Eight-built VF Commodore for the remainder of the 2018 season after Stone racing signed with Triple Eight to run the ZB Commodore in 2019. It was expected that the operation would switch to the all-new Ford Mustang next year, but has instead signed a support deal with Triple Eight to run a Commodore for Hazelwood who will be behind the wheel of the Holden for the inaugural OTR SuperSprint at The Bend in South Australia later this month. MSR has struggled for results in the Falcon it purchased for the 2018 season with the reigning Dunlop Super2 Series winner sitting last of the full-time drivers in the standings. "The team have decided to run a ZB Commodore in 2019 and feel that racing the VF model starting at The Bend will better prepare us for next year's season," Stone said. "We are excited about this new partnership, which will see us form a technical support package with Triple 8 next season." Hazelwood said the team have worked hard in preparation for next year and added that he has confidence in the change. "I believe this new direction will help us move forward as a team, this was no overnight decision and I feel very confident with the changes put in place," he said. "I am fortunate that I have very smart and successful people in my corner who were able to help analyse the best direction for the team. 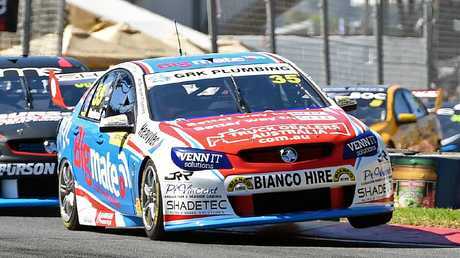 "I'm very excited to be back in my Super2 winning car for the remainder of the season ... I cannot thank everyone involved at MSR for making this switch possible and I'm really looking forward to racing at The Bend for the first time." The Supercars championship resumes with inaugural OTR Supersprint at The Bend Motorsport Park for the first time on August 24-26. Ricciardo exit exposes Verstappen feud?